Campo del Cielo 10.5kg; Sold. The word "crating" comes into play while I discussed shipping options with the dealer. Crating goes back to the days of Harvey Nininger, and reserved only for the unusual opportunities. I have a friend who got disappointed when I showed him my earlier collections, tiny bits of this and that, too small for appreciation. What he wanted was fist-sized stones. Finally, here is a specimen that will challenge the unsuspecting hand, as very few people can hold it in one hand. The rest was history. 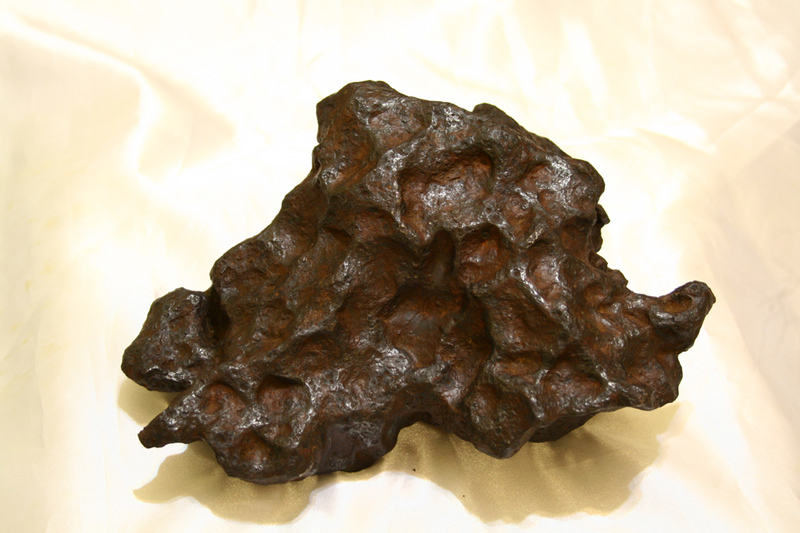 Lovely regmaglypts, showing great character, poised to strike the first time meteorite prospector.